for their Years of Service to OLLB. 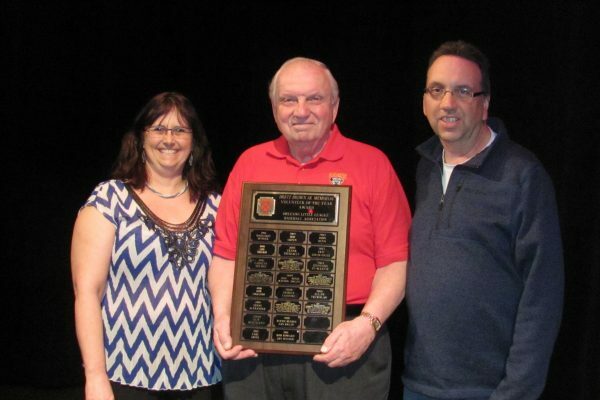 All were recognized at the 2015 AGM on March 30th and is pictured here with OLLB President Gordon Crookston (center). for their dedication and commitment to OLLB. Lisa Weston – Chair, League President Gordon Crookston, Allan Tremblay. Not present – Art Weston, Steven Byers, Bruce Murdock, Leah Pittman, and the Parents, Siblings and Friends of the 2017 Senior Red Sox team. Bruce Murdock, Chuck Dufton, Steven Byers, Lisa Weston (Chair), Wayne Crutchlow, Gordon Crookston, Brad Montgomery, Allan Tremblay.